Address: Avenida del Saladar, 28, Morro del Jable (Fuerteventura), Islas Canarias. 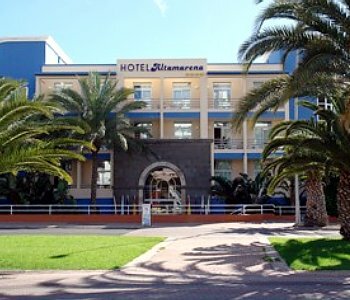 Located right on the seafront, the hotel overlooks the long Jandía beach, considered one of the best beaches in Europe, allowing guests to enjoy the peaceful and relaxing seaside atmosphere. At the same time, the hotel has the advantage of being just a few minutes from the town of Morro Jable, where you will find a good selection of restaurants, shops and leisure activities. There is also a swimming pool set in the middle of a tropical garden. Here, families can enjoy the charm of the island and a wide range of entertainment and leisure activities. A deposit of EUR 20 is required for the use of the parking. This will be returned at check-out.